As a mother, there is one aspect of my life which has changed dramatically since I had children. 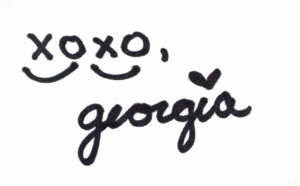 Safety! It seems every day these two little munchkins are doing something that looks like they will break their neck, knock out their teeth or end up with a scar somewhere. I know it’s a given these guys will get bruises, cuts or injuries somehow, but, there are certain aspects of life where I like to take control and ensure they are the safest they can be! For example, in their car seat. 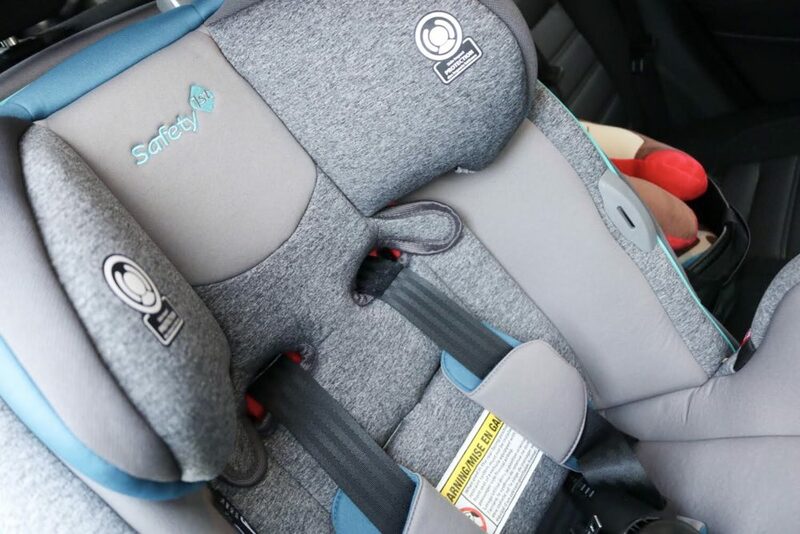 Every car seat is different, so it is important all parents read and follow the directions specific to their car seat. 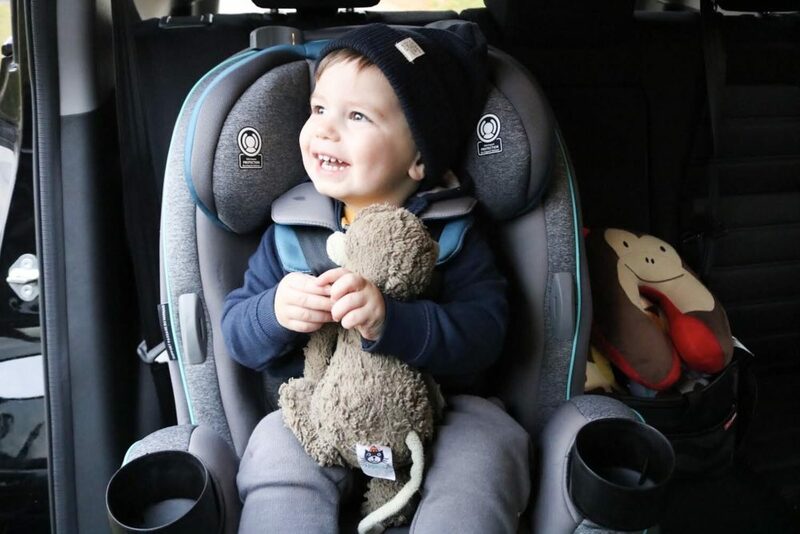 Before Mason was born, we were researching car seats and the most important feature we were looking for was safety. We also wanted something that lasted throughout the years and not-to-mention the cup holders too ☺ – These were A MUST! Safety 1st Canada was kind enough to let me try out their Grow & Go and I highly recommend all parents look into it. Now, typically Lucas puts the boys in their car seats, but I’m always keen on making sure they are restrained properly. 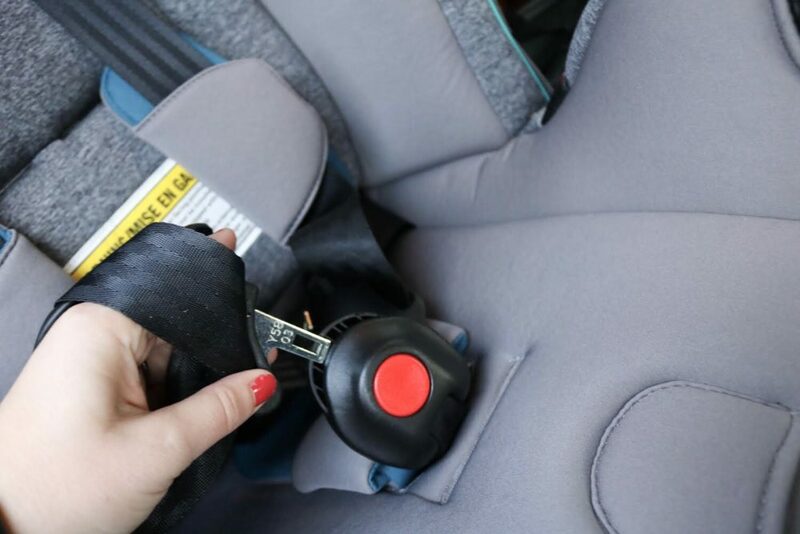 For me, this means the car seat is installed correctly using the lower belt (UAS) and securing it to the cars anchors and the tether strap at the top is tightly secured. They also need to be harnessed-in with the chest clip placed at mid chest, level with his armpits and tightened so they are snug. A good way to check is by pinching the belt at their shoulders, as there shouldn’t be any slack. It’s also important the boys aren’t wearing bulky jackets or snowsuits since this can get in the way or properly harnessing them in. 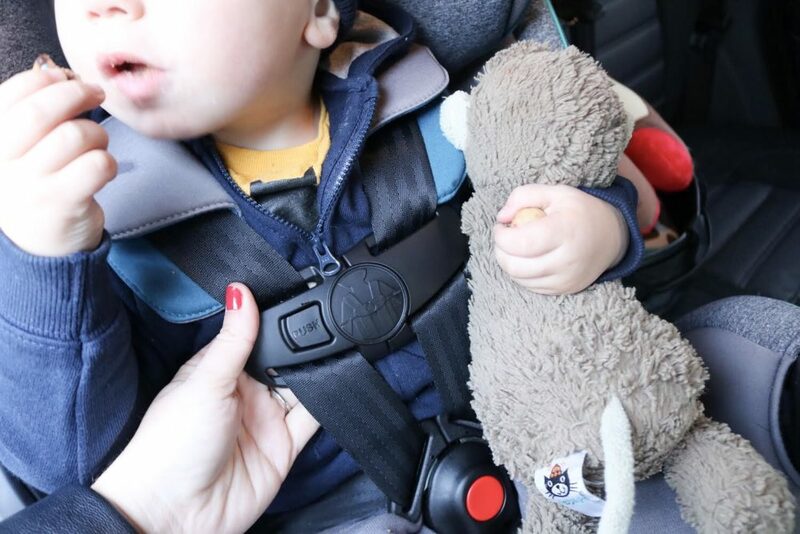 My boys are in the car pretty much every day, whether going to the mall, heading to day care or going on a road trip, it’s always important to take the time to ensure they are safe. After all, these little munchkins are my life, even though when we are on the road and these kids are in the back screaming or doing what they do best – Driving me crazy — I still want them to be safe! So, another amazing aspect of this car seat is it adjusts along with your child as they continue to grow. Its nice Safety 1st understands parents don’t want to buy a new seat every time their child meets new requirements. The Grow & Go is good from the day you bring your precious baby home until they can ride in the car without anything at all. I mean, these two kids have grown so fast and it seems like every day we need to buy them new clothes, I couldn’t imagine having to get new car seats or boosters every step of the way. This brings me to another important car seat safety step. 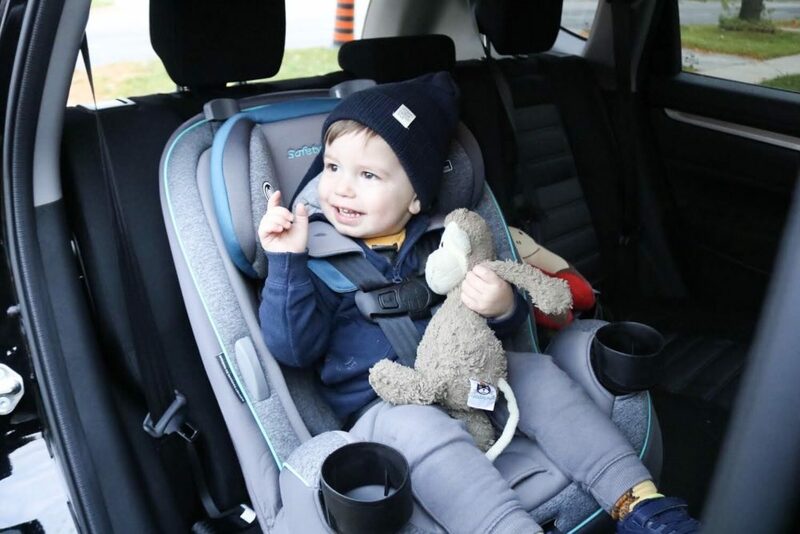 As my boys grow, it’s important to know when and how to adjust their car seat properly – Rear facing, forward facing, when to use anchors or when to use the vehicles belt, these are just a few of the questions most parents will have over time. Mason is nearing 40lbs so we will have to use the seat belt from the car when strapping him in and remove the lower belt (UAS) attached to the anchors. This is something that can be easily overlooked if not keeping up to date on your car seat safety and government regulations set in place. To end, I highly encourage all moms and dads to educate themselves on car seat safety and understand the transition periods involved. Keeping your car seat manual handy is a good start since it provides all the information you need to know. So whether going to the corner store or on a long trip, I highly suggest strapping your little one in Safety 1st Grow & Go so they have a safe and comfortable ride… in a lot of cases they might even fall asleep and give you the silence us hard working mothers deserve! *This posted is sponsored by Safety 1st Canada but the opinions and views are my own.